I'm a huge longtime fan of the Very Prive classic style but NOT of white bridal heels. However, when you get to meet the New Very Prive in off-white crepe satin, I start to think that maybe, just maybe I might be wrong. 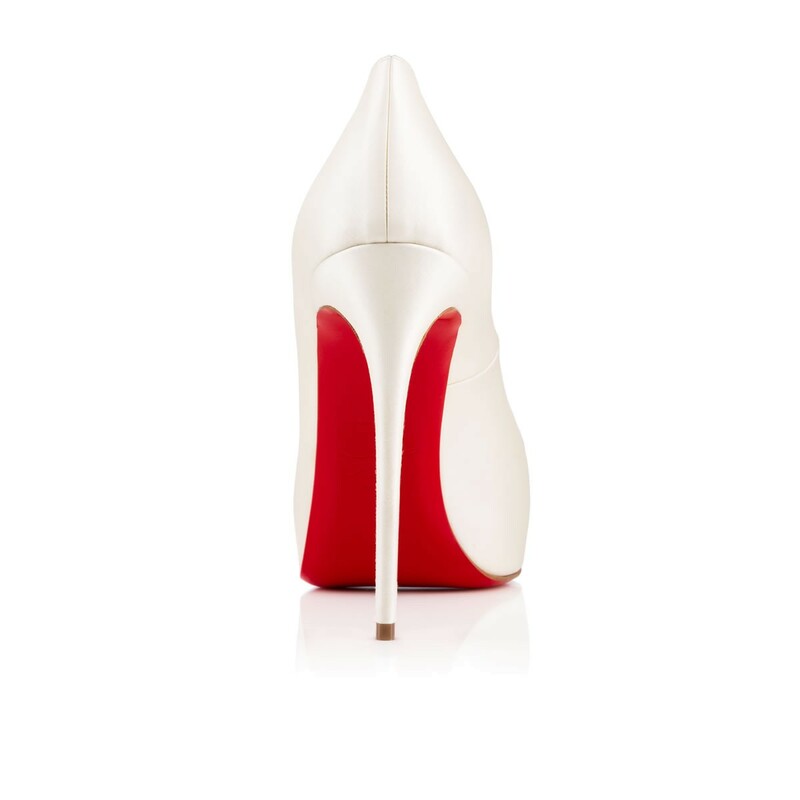 The new updated silhouette to a constant Louboutin classic is a welcome addition to the Loubie back catalogue of gorgeous peep toe heels, and I cannot wait to see it in black patent with a red platform. Certainly, for the summer bride who wouldn't consider wearing anything but light heels for her wedding day, these are about as good as it gets. From every single angle, these elegant heels are bang on the money. "New Very Prive" is a chic update on the much beloved classic "Very Prive." 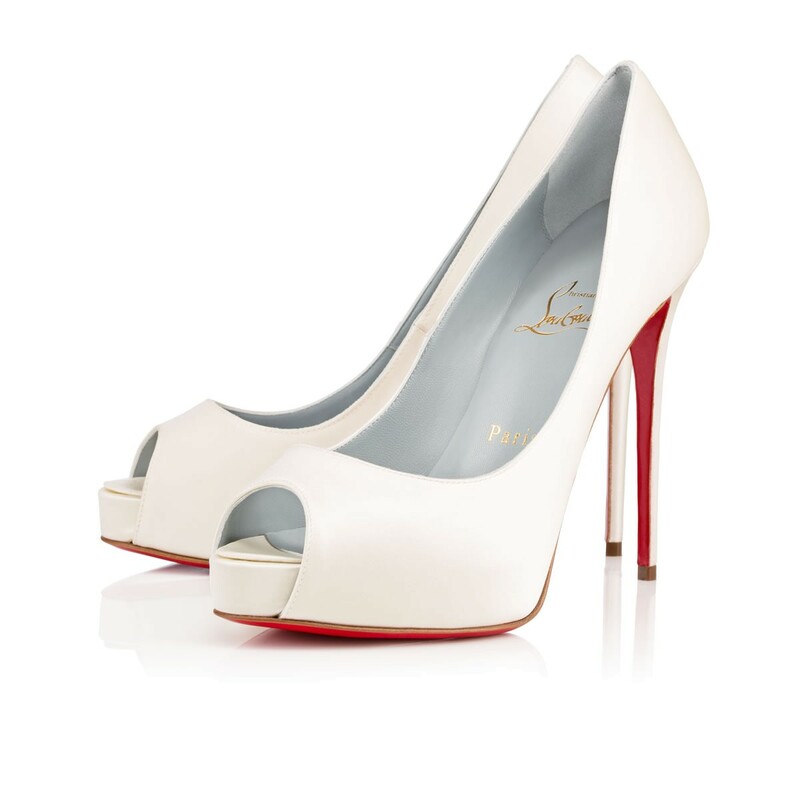 Now featuring a slender 120mm stiletto heel, this peep toe pump in off white crepe satin is an exquisite bridal option. They almost make me want to get married all over again. Not just for the shoes of course. But, you know... 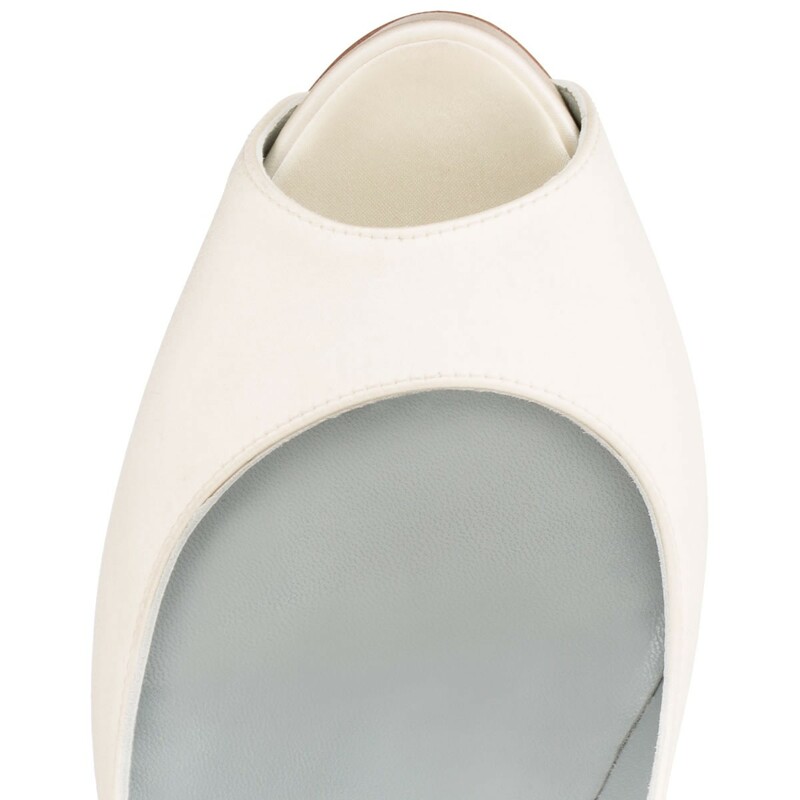 If you are getting married to your Mr Right in 2015 and are looking for the practically perfect bridal pump of your dreams, then for £545 you can make them yours.